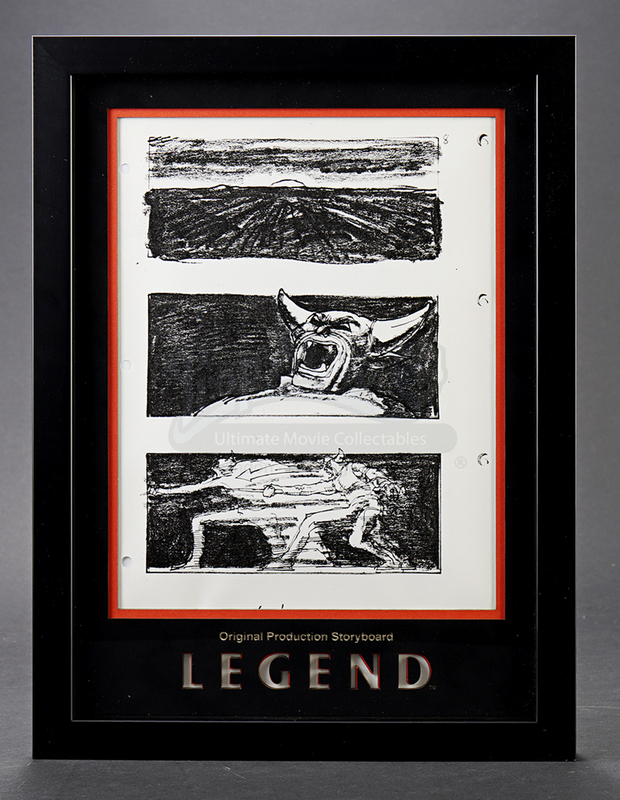 A framed set of production-made storyboard copies used in the production of Ridley Scott's fantasy film Legend. Jack (Tom Cruise) must save the daylight by stopping the Lord of Darkness (Tim Curry). Storyboards such as this were distributed to crew members during the extensive planning of SFX scenes. 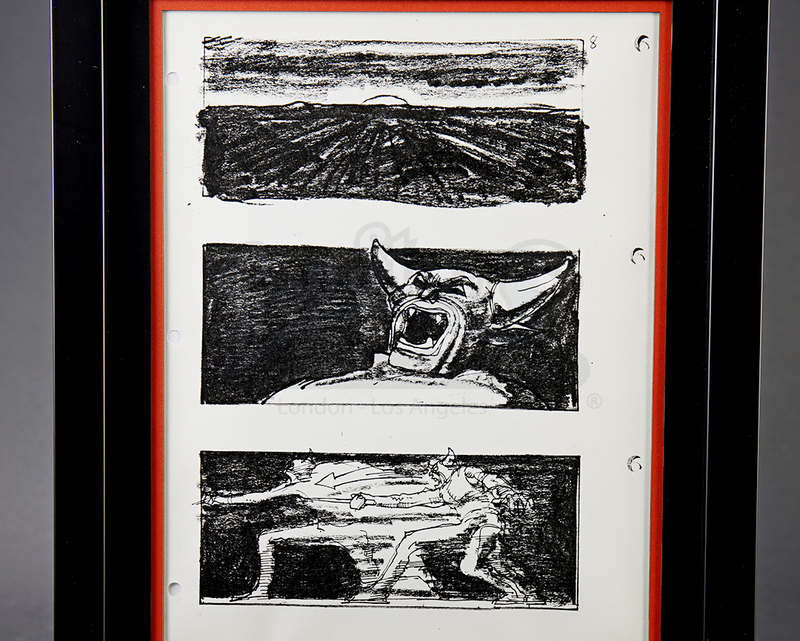 The storyboard displays printed descriptions beneath the illustrations and is printed on US Legal-sized paper. The images combine to depict a specific sequence from the film. 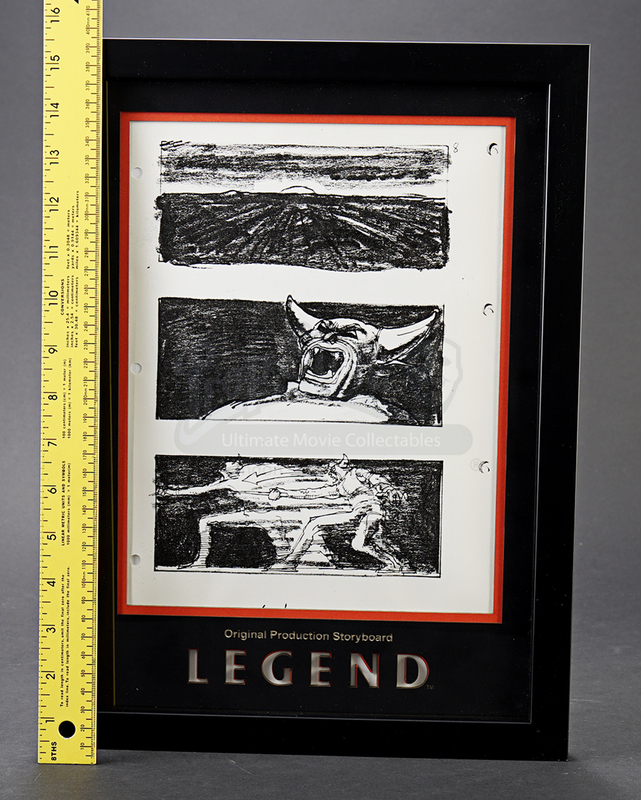 It comes framed (15.5" x 11.75" x 1") in a custom built display with laser-cut mount board etched with the film's logo.